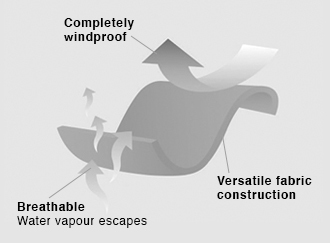 Our WindProof fabrics are designed to completely block out even the harshest wind. Designed to trap body heat and stop wind chill robbing core warmth these fabrics are of a lightweight construction whilst maintaining maximum breathability. Versatile garment for a wide range of environments and adventures.